The Internet has significantly impacted our lives in just about every recognizable ways, and online MBA programs are no exception. Indeed, online learning has been around since the beginning of the digital age. Specifically, MBA programs were some of the first advanced degree-level programs to be offered online. Business schools recognize that the vast majority of their graduate students aren’t fresh out of school, but rather practiced professionals who are looking to improve their business acumen or advance their career by obtaining an advanced degree. An online MBA program differs in many respects from a traditional campus MBA program. While the content objectives between an online and a campus MBA program are likely to be identical, the delivery methods and learning processes are vastly different. 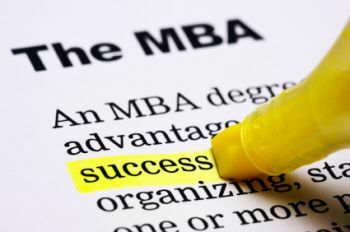 Online MBA programs are convenient. This is perhaps the most compelling reason to consider an online program. You have the kind of convenience that just doesn’t come with a traditional classroom, both in terms of when you engage in classwork as well as where. These programs allow business professionals to take their courses without interrupting the work day. Online MBA programs don’t require a leave of absence. You can complete an online MBA program while you’re employed without having to take a sabbatical, a leave of absence, or wait until you’re between jobs. Online MBA programs offer self-paced learning. While an online program may still require you to meet specific objectives by specific dates, an online program lets you have more flexibility in terms of when you work toward those objectives. The program as a whole will often allow you more time to complete than a campus program might, as well. Online MBA programs offer comparable learning to traditional programs. The content in an online MBA program will be similar to that of a campus program. You’ll learn the same things as your campus counterparts, and in many cases will be taught by the very same professors. Online MBA programs lose some, if not all, face-to-face interaction. In many MBA programs it is the cohorts – the students with whom you progress through the program – that provide you with some of the most important information and experiences. If an online MBA program does offer you interaction with cohorts, it’s generally not in person. Online MBA programs aren’t as respected in some circles. There are some companies and some industries that still are suspicious of online learning. For example, if it’s your long-term hope to teach at a business school, you might be better off considering a campus MBA option. Online MBA programs require a certain degree of technological knowledge. Today’s programs don’t normally require more technical knowledge than being able to operate a web browser, but this can be a concern for some students. Online MBA programs may present fewer local networking opportunities. If you’re involved in a local business and hope that your MBA program can provide you with contacts for vendors, partners, clients and more, an online MBA program may not be your best bet. Ultimately, whether you choose an online MBA program or a traditional campus program will depend greatly on what it is that you want out of your MBA experience, and what you hope to accomplish with it.